Dortmund - Jürgen Klopp could be forgiven for approaching the second half of the 2013/14 Bundesliga season with an air of doom and gloom. However, those who are familiar with the German top flight and Borussia Dortmund in particular will be aware that is simply not his style. Despite the pending departure of top scorer Robert Lewandowski to FC Bayern München, the 46-year-old is looking forward to the Rückrunde and is confident his team can win some silverware this season - even if it's not the Bundesliga title. BVB returned to North Rhine-Westphalia on Friday following their mid-season training camp in La Manga. It was Dortmund's third consecutive trip to southern Spain during the Winterpause - intriguingly, their first visit in 2012 was followed by the Bundesliga and DFB Cup double in May of that year. Four months after their second stint in the Spanish seaside resort, they narrowly lost out to Bayern in the UEFA Champions League final. However, Klopp isn't expecting any miracles during the second half of the 2013/14 campaign. "[Going to La Manga] hasn't really got anything to do with superstition," the charistmatic coach told RuhrNachrichten.de. "It would be nonsense for me to come out and say we'll definitely catch Bayern. We still have great aims for this season, but if we're in second place come the summer [...], I'll be really happy." 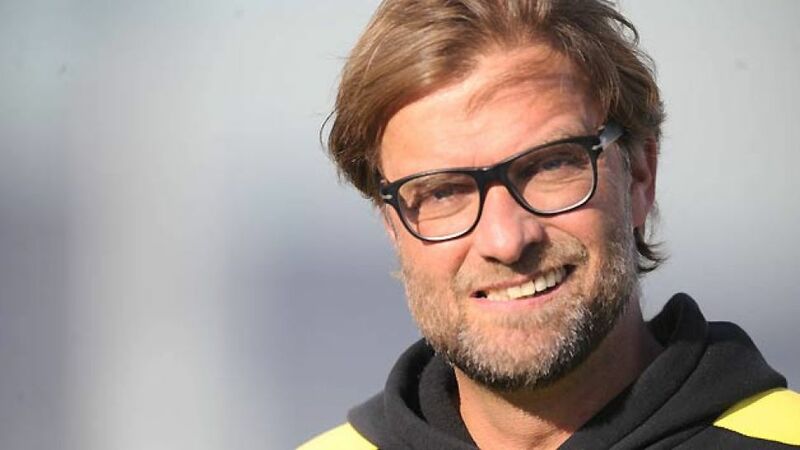 Klopp may feel that Dortmund's chances of overhauling the Bavarians - who currently sit twelve points clear of die Schwarz-Gelben in the Bundesliga table - are slim at best, but he remains confident of ending the current season with at least one piece of silverware in the trophy cabinet. "We haven't set ourselves a limit in the DFB Cup, we naturally want to get as far as possible in that competition," he explained. "We're not favourites in the Champions League, but we don’t want to set ourselves a specific target there either. Our aim is simply to prepare the team for the challenges ahead." One of those challenges - during the first half of the season at least - was Dortmund's lengthy casualty list, but Klopp's injury woes finally appear to be easing slightly, with Ilkay Gündogan, Mats Hummels and Marcel Schmelzer all due to return at, or soon after, the Bundesliga restart. Even Neven Subotic’s recovery from torn knee ligaments is progressing smoothly. "I can occasionally be very critical of my players, but they weren't to blame for many things that happened [during the first half of the season]. We lost the entire spine of our team," said Klopp. "I can't blame the players for a lack of effort. We just want to prepare well so all the BVB fans can look back on the season with a smile." A trophy or two would certainly help in that regard.